In their space-borne environment, TWTs are exposed to extreme temperatures that influence the strength and stability of their magnetic field and can adversely affect RF signal outputs. Rigorous thermal stressing of TWTs is required to characterize RF signal outputs and ensure trouble-free operation after deployment. analysis of the TWT during temperature cycling. What are your RF testing requirements? 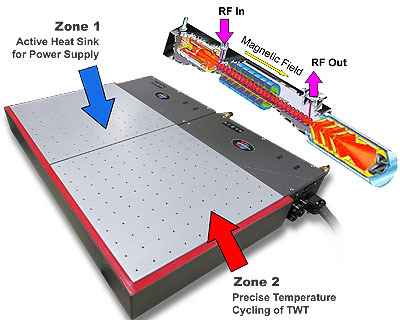 Learn more about thermal platforms.